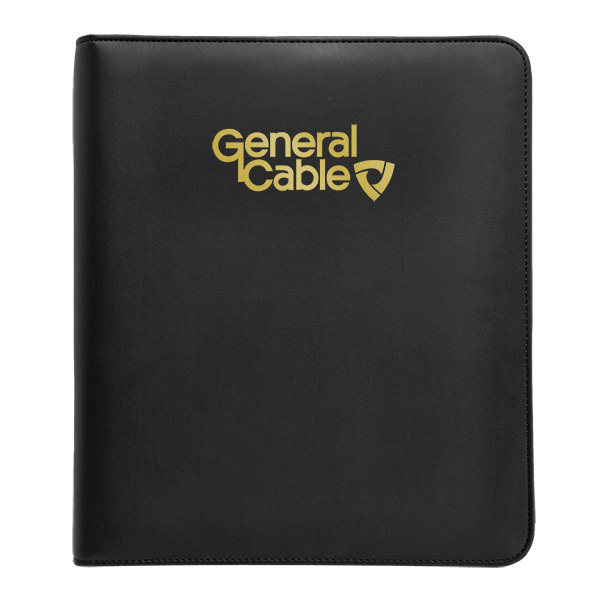 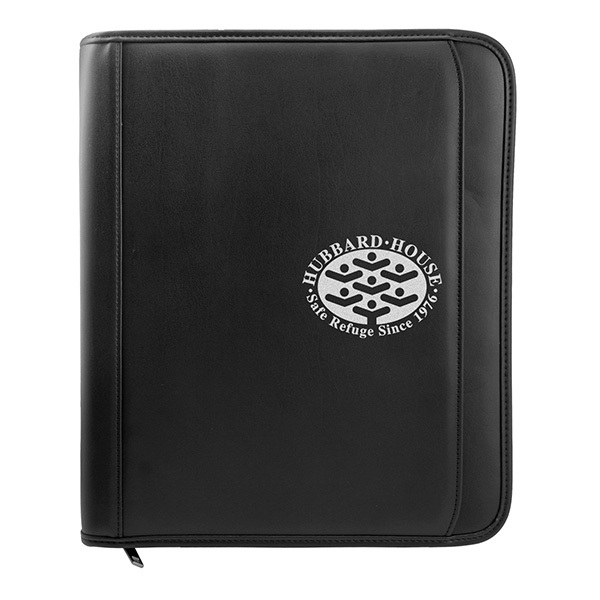 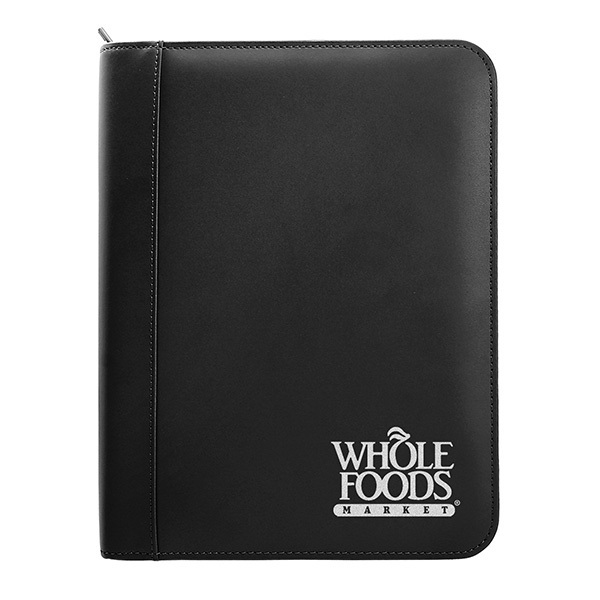 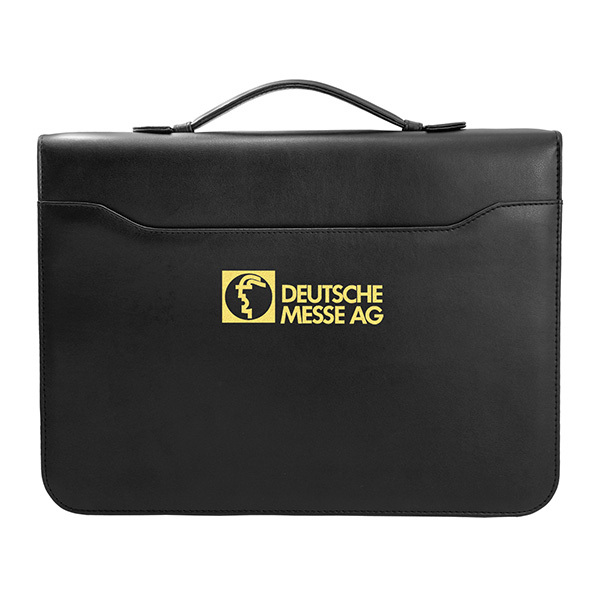 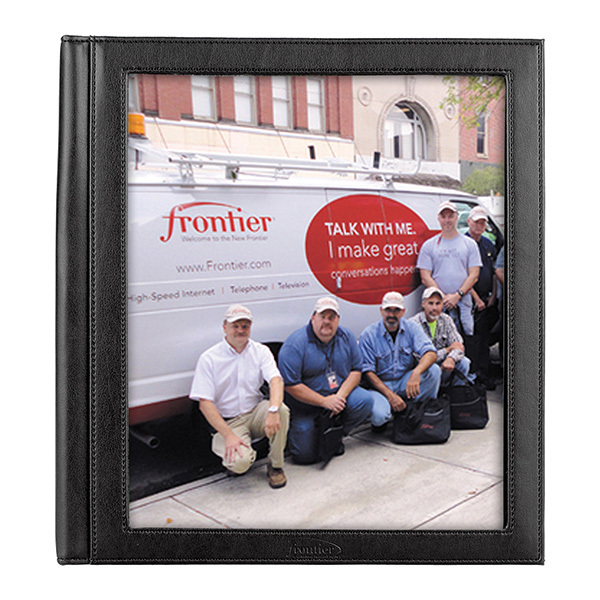 Challenge your staff to work smarter with this leather binder! 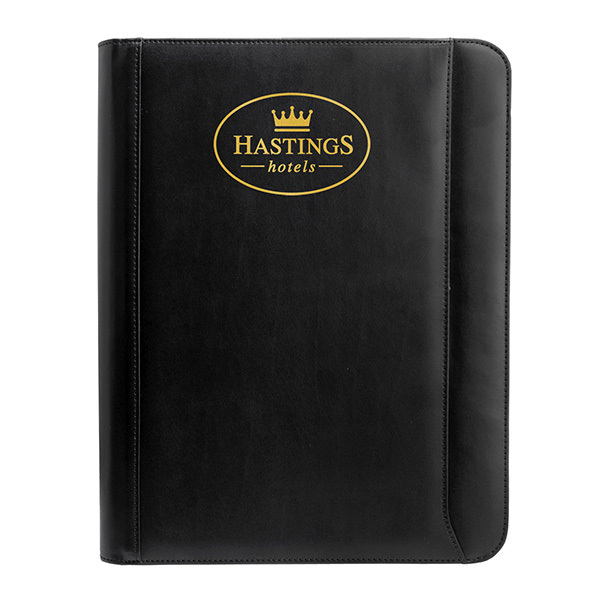 Designed with a 1 1/2" ring, this quality crafted product measures 10.75" x 2.25" x 11.5" and features turned and stitched edges, concealed rivets and a foam padded cover. 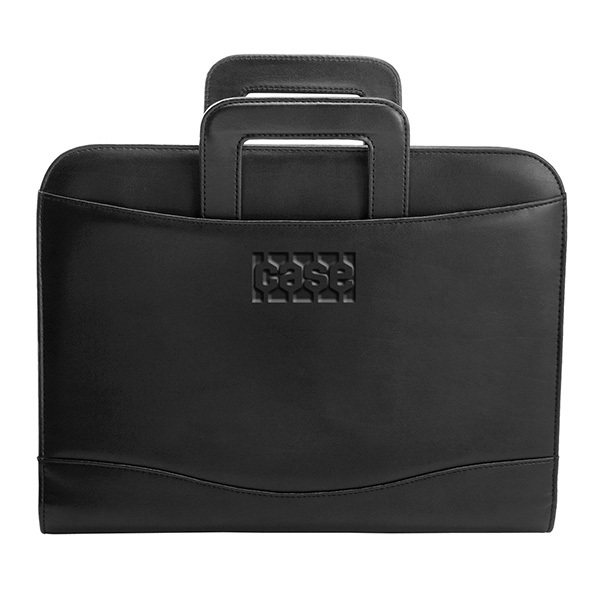 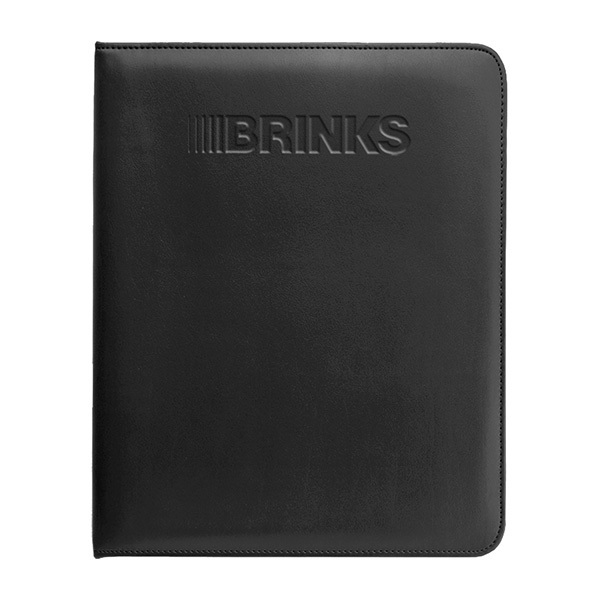 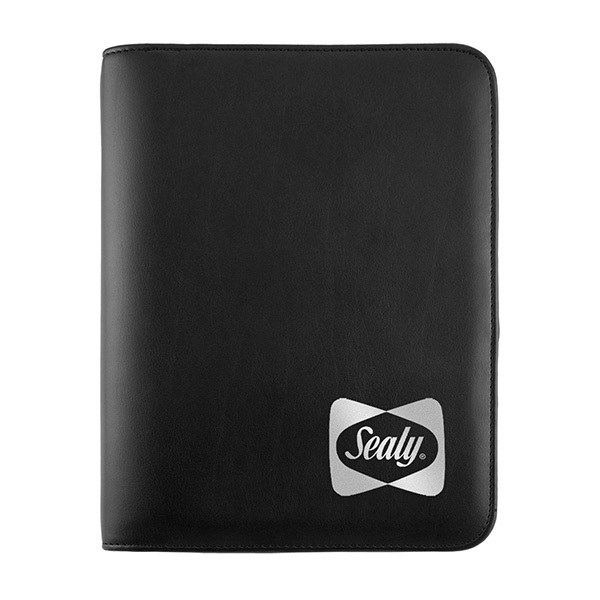 The interior features a microfiber lining, two file pockets, a business card window and convenient pen loop. 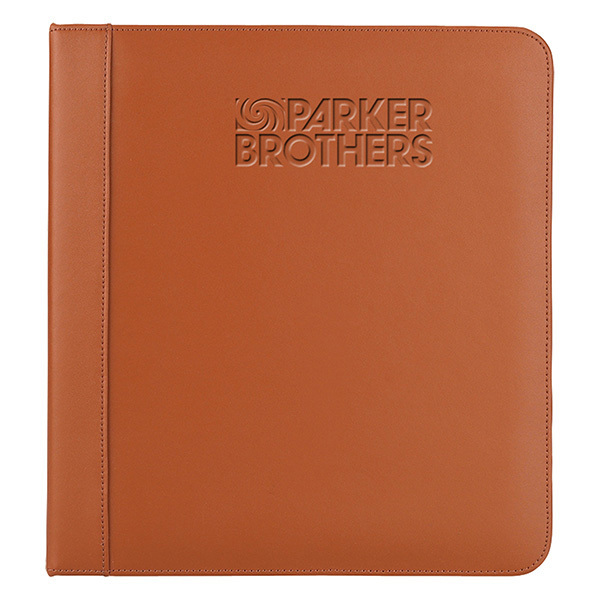 Available in black and tan bonded leather, you'll make a statement of professionalism by handing this out at your next corporate event. 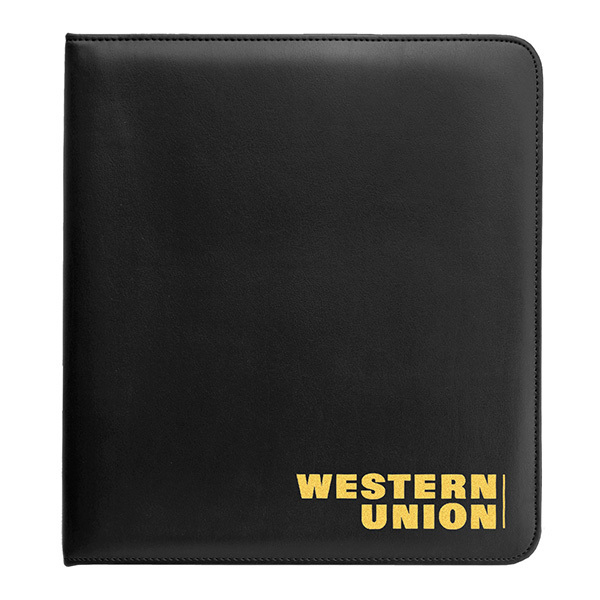 Add a logo, company name or custom message to the cover for maximum brand appeal. 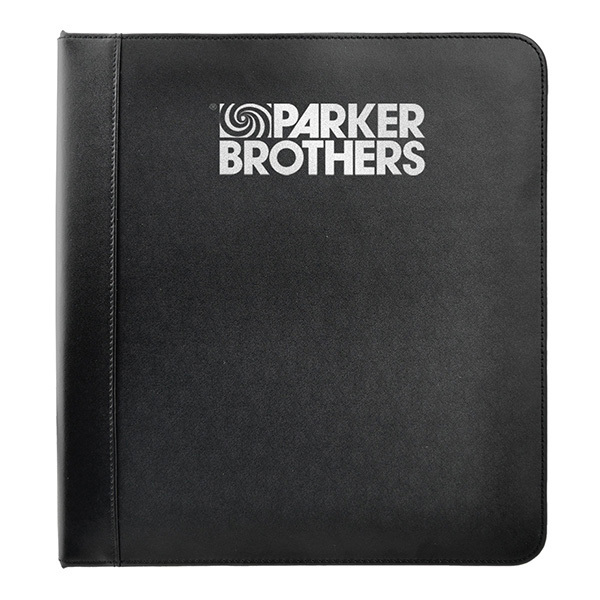 Item Size 10 3/4" x 11 1/2" x 2 1/4"
Case Dimensions 11.625" x 20" x 12.24"